National Law Journal (NLJ) recognized Chairman Ben Wilson (Washington, DC) as a "Lifetime Achiever" in its 2017 Professional Excellence Awards. This honor recognizes attorneys who have made significant lasting achievements in both their professional and personal lives. The NLJ article highlights Ben's commitments to diversity and inclusion, and to mentoring young lawyers. 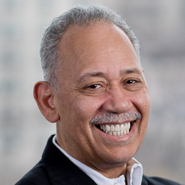 Among numerous other diversity-related activities, Ben established the Diverse Partners Network, the African American General Counsel Network, and the African American Managing Partners Network to help minority and women attorneys gain opportunities in the profession. Ben has been with Beveridge & Diamond for over 20 years and was recently elected Chair of the Environmental Law Institute. He is a fellow of the American College of Environmental Lawyers. Ben currently sits on the Board of Governors of the District of Columbia Bar Association, the Board of Directors at Northwestern Mutual Life Insurance Company, and the Board of Trustees of Dartmouth College. He serves as an Adjunct Professor of Environmental Law at the Howard University School of Law and co-founded the Howard Energy and Environmental Law Society. He currently serves as the Court-Appointed Monitor for the Duke Energy coal ash spill remediation project and the Deputy Monitor for Emissions & Environmental in the Volkswagen AG emissions proceedings. “Ben has made a difference in so many lives, including right here at B&D, over the course of his career. On behalf of everyone at the Firm, we congratulate him on this recognition,” said Managing Principal Russ LaMotte. On success, Ben states, "It was Jackie Robinson who said, a life means nothing except for the impact it has on others. And I believe that." Ben's advice in the article to young lawyers includes: "Demand and work for 'transformational' change — now — to address the great challenges of our time: climate change, inequality of resources and opportunities, and the ever-widening gap between those who benefit from technology and those who are displaced by it." Click here for the full article here (subscription required).